Essential oils are distilled from the leaves, bark, roots and other aromatic portions of a botanical whereas Carrier oils are pressed from the fatty portions (seeds, nuts, kernels). kind of like carrying the essential oils onto your skin! Less is more! Drop by drop of your essential oil(s) onto a tablespoon of carrier oil is all you’ll need. Carrier oils are mostly odorless, but some have a faintly sweet, nutty smell. They should not have a strong smell. Color! This may be important to you if you are creating a certain color blend or product. Also, their unique smells may conflict with the smell you are trying to achieve. Their texture – too oily?, etc. Storing carrier oils in your refrigerator can help they last longer, however, certain carrier oils should not be stored in the fridge(it will indicate that in the descriptions below). don’t worry if they solidify or look cloudy at first! Add your favorite Essential Oils to this cool, smooth gel for a great skin gel. It is derived from the leaves of the aloe vera plant and has great healing properties. Could be used as a sunburn cream with the addition of essential oils, such as lavender and chamomile. So many possibilities! Aloe Vera Liquid is a 100% natural product expressed from the leaf of the aloe plant Aloe barbadensis miller. It contains 22 amino acids, enzymes, proteins, minerals and vitamins. Aloe Vera Liquid stimulates the skin, is anti-inflammatory and is very beneficial for burns and sunburns. It is moisturizing and has humectant properties. This liquid helps to improve hydration and is soothing and healing to all skin types. It is well renowned for its healing and anti-inflammatory properties and can help to heal cuts, grazes, burns and insect bites. Note: This is a natural product and therefore should be refrigerated to prolong its shelf life if you are purchasing in large quantities. Regular, everyday use – store in a cool, dark spot. This oil is refined, and is an amber shade. Avocado oil (Persea americana) is a thick, penetrating oil that is rich in vitamins A, C, D and E, proteins, beta-carotene, potassium, lecithin and fatty acids. It softens and nourishes dry, dehydrated skin and is easily absorbed. It is said to reduce age spots and heal scars. Avocado Oil is great for all skin types. This oil has a high “slip” factor. 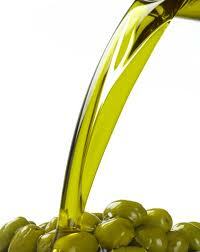 Contains Palmitic acid, palmitoleic acid, oleic acid and linoleic acids. This oil is wonderful for dehydrated skins as it has the ability to penetrate the upper layers of the skin. Avocado oil is very moisturizing and therefore also very helpful for rashes, eczema and aging skin types. A pure and gentle organic soap containing water, saponified organic coconut oil and saponified organic sunflower oil with kosher vegetable glycerine. Excellent for children and those with sensitive skin. Has a natural clear pale amber colour. No fragrances or chemicals. Contains no surfactants. Castor oil is a vegetable oil derived from the castor seed, Ricinus communis. Traditionally castor oil is used for skin problems, burns, sunburns, skin disorders, cuts and abrasions. It is a colorless to very pale yellow liquid with mild or no odour or taste. Castor oil is a humectant: it creates a protective barrier on the skin, and attracts and retains moisture. It is good for dry, chapped skin and is readily absorbed. It is said to dissolve cysts, growths and warts, and soften corns and prevent scars. Never use raw castor oil. Avoid during pregnancy. The scientific name for coconut is cocos nucifera. According to the Coconut Research Center, early Spanish explorers called it “coco” which means “monkey face”. The indentations on the hairy nut looked like a monkey to them. The word nucifera means “nut bearing”. There are several terms that are used to describe the process of making coconut oil – refined, virgin, fractionated… but what’s the difference? The term “refined” refers to oils that are made from “copra”. Copra is the meat of the coconut that has been sun dried, smoke dried, or kiln dried and has picked up impurities. To remove these impurities the oil is refined, filtered through bleaching clays, and heated to deodorize it. This is also known as fractionated coconut oil. This cold pressed Grapeseed oil (Vitis vinifera) has a green tint and very fine texture. It is almost odorless and makes a good choice for aromatherapists wanting a bland base oil with excellent slip. Grapeseed oil contains vitamins (including vitamin E), minerals, polyunsaturates, protein and linoleic acid (68-76%), which is very important for the skin and cellular membranes. It is a penetrating, odourless, mildly astringent oil that is great for all skin types. Hemp Seed Oil has been dubbed “nature’s most perfectly balanced oil” as it contains all the necessary essential fatty acids, proteins, vitamins and minerals our bodies require for optimum health and restoration. It is an excellent choice for skin and hair care as it protects against free radicals, sun damage and skin conditions. Perfect for all skin types. Jojoba oil is not really an oil, it’s a liquid wax! Known as the “skin’s twin” in skin-care circles (it is very similar in structure to our skin’s natural sebum), Jojoba is excellent for all skin types, but most especially for eczema and psoriasis. Jojoba oil is easily absorbed by the skin and has a non-oily, softening effect. Jojoba oil can help to soften and unclog pores when used as a facial massage medium. It contains protein, minerals, plant wax and myristic acid (which also has anti-inflammatory actions) so this oil is helpful as a rub for arthritis and rheumatism. Great for scars, stretch marks, psoriasis, eczema, sunburn, flaky skin. Reduces wrinkles and promotes natural elasticity. Jojoba is not a nut-based oil. May be used as a base or a 10% dilution. Rosehip seed oil moisturizes dry, mature, sensitive, allergic, aging and problem skin. It is said to reduce inflammation, regenerate scar tissue, help with wrinkles and age spots, and may help to prevent and fade stretch marks. It contains vitamins C, E and a derivative of vitamin A – trans-retinoic acid (a potent anti-inflammatory) that helps in treating dermatitis, eczema or psoriasis. Because of its high fatty acid content, rosehip oil is wonderful applied topically to the skin, to help reverse severely dry skin. Note: This is a natural product and therefore should be refrigerated to prolong its shelf life if you are purchasing in large quantities. Regular, everyday use – store in a cool, dark spot. This Shea butter is harvested from the trees growing naturally (no pesticide or chemicals). This Shea butter originates from Tapko, a small village located near Wa in Ghana’s Upper West Region. Unlike many other products on the market, it is not extracted using hexane or other chemicals, nor is it bleached, or deodorized. There are no preservatives, yellow coloring agents (natural or artificial), or other additives in this unrefined shea butter. It is a creamy shade with a nutty, slightly smoky scent that dissipates on the skin quickly. Every ounce is natural, unrefined and of the highest quality. Shea butter is created from the nut of the Karite or Shea (Mangifolia) Trees which grow throughout Ghana’s region. These trees produce fruit once each year. Each batch of Shea butter is handmade with all natural methods. Shea butter is naturally rich in vitamin A and E, both fabulous antioxidants which may help to counteract free-radical damage from the effects of the sun. Raw, unrefined Shea butter has an average shelf life of 12 to 24 months without the addition of preservatives. To maximize the shelf life, it is important to store it under the proper conditions as outlined below. Sweet Almond oil (Prunus dulcus) contains vitamins A, B1, B2, B6 and E, and is rich in protein. It is great for general massage on all skin types. Sweet Almond oil is wonderful for helping to relieve itching, dryness, inflammation and burns. This oil is an all-purpose carrier oil and is also used for infusing (macerating). Not safe for people with nut allergies. Echinacea is also referred to as “purple coneflower”. It takes very little time and money to make your own Echinacea tincture. It rewarding to to do things for yourself and know exactly what is in the “medicine” you are taking. Making herbal remedies is as grounding and fulfilling as growing our own food. Echinacea stimulates the immune system and its antiviral activities help fight colds and flu, as well as promote the healing of infections. 1 one pint glass jar (make sure it is clean) Do not use anything but glass to make your tinctures. 1 cup vodka (60% alcohol with dried and 80-100% alcohol with fresh) You can use another alcohol such as rum or gin, if that is your preference. One part plant to two parts alcohol. EXAMPLE: Three ounces (dry measure) of fresh Echinacea flower heads would be placed in a jar with six ounces (liquid measure) of alcohol. Place dried Echinacea in the jar. NOTE: If you have fresh Echinacea available there is no need to dry it. Fresh is better than dried. If you use fresh Echinacea, gently wash off the petals and measure about 1 cup of flowers and leaves. You can use the whole plant, flowers, leaves, and root. Many people use the flowers and leaves only since they don’t want to dig up the roots. Pour vodka over the top. Fill as completely as possible to eliminate air, and seal tightly with lid. Label the bottles with the herb name, date made, and the expected date your tincture will be ready. Store in a cool, dark cabinet until needed. You have now created a menstruum. A menstruum is the liquid used to extract the soluble principles from the herbs or roots. Leave menstruum at room temperature for four to six weeks. Place the jar in a cabinet that you go into daily, so you can shake it every day for thirty days. The tincture will get stronger the longer it sits. The dark brown color indicates that the essential oils from the root have been absorbed by the alcohol. After the four to six weeks has passed, you will need to strain the herbs out of the vodka. To do this, place a layer of cheesecloth over a large glass measuring cup or small glass mixing bowl and secure with a rubber band. Pour menstruum slowly onto the cheesecloth and allow to drain for a few minutes. Then use your hands to wrap the cheesecloth around the herbs and squeeze out the excess liquid. Strain herbs as described above. Then discard the herbs. You now have your very own Echinacea tincture! Pour tincture into dark, glass bottles for storage. And don’t forget to label them. At the first sign of a cold or throughout a cold take take ½ to ¾ of a teaspoon 3 to 4 times a day, per day. Echinacea has shown to be most beneficial at the beginning and for the duration of a cold. It is not intended as a long term preventative. Tinctures from different herbs can be combined for dispensing as a blend! For topical applications, use olive oil; it’s much easier on the skin than alcohol, and has it’s own nutritive properties. And you can easily use your tincture made with oil into a salve by melting in some beeswax and adding drops of Essential Oils, if you want. The key advantages to tinctures are that they are convenient to use, easy to mix into combinations, dosages are easier to control and they have excellent shelf lives. USING THE ROOTS: You can also use the roots in lieu of flowers and leaves. Fresh roots should be ground with the alcohol in a blender into a pulpy mush. The ratio of echinacea root to menstruum is 1 to 2. If there is 1 cup of root, add 2 cups of menstruum. Shake and massage the soil and unwanted plant roots from the clump. This is a good time to kill a few weeds! Leave as much soil as possible in the garden. Scrub roots with a brush and rinse while rubbing the roots to remove any grit. Place all of the washed roots in a colander to drain. Slice big roots crosswise into rounds (as if cutting carrots) and then chop them into smaller pieces. As Echinacea ages, clumps are formed with new plants sprouting around the original plant. The oldest plants in the clump may decline as the younger vigorous plants compete for nutritional resources. Dividing the clumps regenerates the plants and gives a perfect opportunity to harvest the roots for tincture. For tincturing, choose Echinacea plants that are at least three years old. Hope you try this out! Thank you reading! PS – here are some pictures of my Echi from my gardens!